Easy to apply. Essential that you watch the videos on application first. Second time I have used this product. Pleased with the results. Only done part of my driveway so far due to the weather not being right but up to now the difference is really good I would like to put some photos of before and after on here if possible. I have been a customer for 10 years and have always found the staff to be most helpful and have received first class advice.Yesterday late pm. I ordered a product of little value which was posted to me that day and arrived post free at 8;37 this morning. I was therefore able to complete my job whilst the sun shines! I have used the sealer on my imprinted drive several times with excellent results.It is comforting to know that if anything does go wrong good advice is available just a teleophone call away. 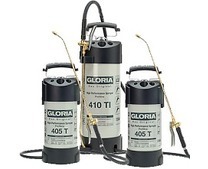 I highly recommend the drive seal which enables the DIY user to obtain a professional finish. Back garden looks fantastic, really pleased with product. 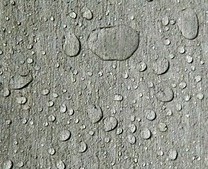 Having sent some photos to Smartseal of my imprinted concrete patio’s which were dull and worn and had the white spotty patches. After a couple of days, Nigel rang me to discuss, then sent me an email with the list of the required materials. Ordered, received next day, then I rang Nigel as he suggested to talk me through the stages. 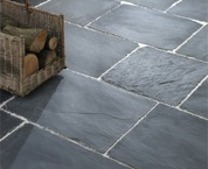 Then as Nigel instructed I first used the sealer repair fluid, which sorted out the white patches, then two coats of the sealer with slate grey colour tint and anti-slip. 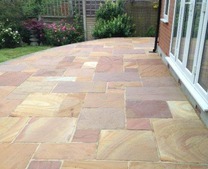 Patios now look great, I had reservations about doing the work myself, but with the guidance of Nigel and the super products there were no problems, so no need to employ anybody to carry out the works, 5 stars. Nigel Drive complete, well almost, maybe some touching up to make perfect. Thanks for all your help, it was much appreciated. I have attached a couple of jpeg showing before and after, not bad for an amateur, the two so called professionals have resealed it over the last six years. Best regards. 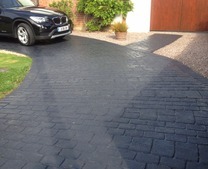 Excellent product transformed my whitened driveway back to it original condition. This is amazing stuff paid out for two different company's to sort the mess my patterned concrete path was in a phone call from Nigel and £100 has made my paths look new would highly recommend this product . Well I had my floor re sealed and in some areas I noticed that were the water was sat for longer it caused white/grey patching, so I rang the smartseal and they was very helpful and advised me to get some, sealer repair, me being a bit wary and not wanting to spend £30 odd pound on something that might not work, so I just bought the sample pot. The delivery was quick and I used the product and was amazed it really does work I'm so happy that now I'm going to purchase the bigger size. I so pleased I got some as it makes such a difference to my drive. Very satisfied, it went down a treat and first class service. The sealer repair is brilliant. I tried a sample and have now ordered a larger can. So easy to use and immediately effective. 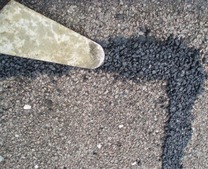 I have very bad blooming on my imprinted concrete drive so ordered a sample of repair fluid.The results on various patches I tried were fantastic, just as good as when first laid. Have now ordered enough to repair the whole drive and cannot wait to restore to former glory. I was able to get my 15 year old imprinted concrete driveway back to looking like new with the help of all these smart seal products, driveway exstream cleaner, crack repair compound, sealer repair fluid I also had to use some color tint (use sparingly if at all watch video) & matt driveway sealer then finally silk driveway with some anti slip. Because of the poor condition and age of my drive I had to use all of these products mentioned most driveways will not need all of these products so I would strongly recommend that you watch (THE FULL STEP BY STEP GUIDE VIDEO) they have got on their web site this will tell you what you will need & what you will not need to do the job & how to do it all properly (excellent video). all product arrived promptly I will definitely use smart seal products again. Tried a small test area product, appears to be doing every thing it says on the tin.The gentleman who talked me through my problem concrete driveway was obviously very clued up on all your products and was very helpful, I will not hesitate in using your services again. Seems to have cured the white blooming. Easy to use. I had a very good imprinted concrete drive which after my last years yearly coating, went very milky / white all over, so i spoke with smart seal who gave me fantastic advice and explained to apply the repair sealer this year rather than the usual laquer the results are amazing , in only a week i have had so many neighbours and friends comment on how great it looks. thanks again smart seal not only for the product but also for the great service and advice. 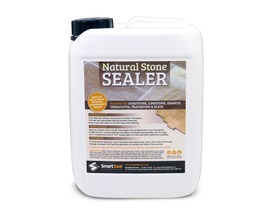 I bought this sealer a few weeks ago.I could not be more delighted with the results my block paving looks highly polished its got the xfactor so thank you for all your help.Would certainly recommend. This sealer repair product worked brilliantly on an area where blooming had occurred after having our patterned concrete cleaned and resealed. 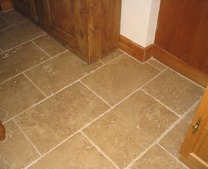 It was easy to apply, and the area looked as good as new, with very little effort. So glad I found it, and wish I had looked earlier! 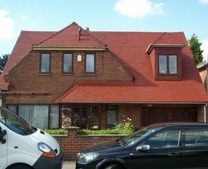 Hi Nigel Find attached photos of my front drive before and after. I have followed all your advice you have given over the last weeks. 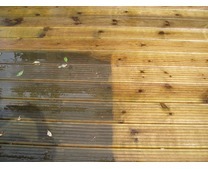 I have used sealer repair twice with colour in the second application and two coats of sealer. I have just ordered the non slip agent and when it arrives I will put it in the final coat of sealer. I am delighted with the result I have achieved which is a testament to Smartseals products and also your knowledge of the products you supply. Once again thank you. Drive looks much improved after using sealer repair fluid. Some patches needed a couple of treatments to remove white patches. 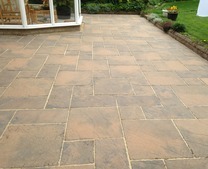 After using applied 2 coats of imprinted concrete sealer and the drive now looks excellent. 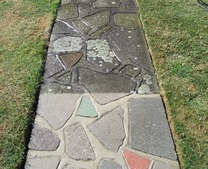 Patio surface had gone white under original sealer. Used sealer repair with colour tint and it came up like new. Many thanks to the guy's at Smart Seal for giving me advice before purchasing product. I tried this product with advice from Nigel in order to remove white deposits. After a whole day's work, the result was impressive although after drying some evidence still remains. It would appear that I shall have to try again with the remaining fluid. Overall, my drive does look much improved so wish me luck!! I have used SmartSeal Products before. So I knew I was on to a good thing.My driveway needed a bit of a repair so I brought some Sealer Repair Fluid with helpful advice from Nigel and the friendly staff I was very impressed with the outcome. Thank you Smartseal. This product is absolutely magic. It's hard work, but it works. You need to brush it on, leave it a small while - maybe 30 seconds to a minute, then work it in. I found the recommended 2 minutes too long, but then I guess it's temperature dependent and it was quite a hot day. When the acrylic goes sticky, leave it to reset and you're done. I found it needed another coat of acrylic afterwards, but the blooming had disappeared. It recovered an appalling installation by a bunch of cowboys (nothing to do with SmartSeal). But this review is much more about the company, rather than the wonderful product. 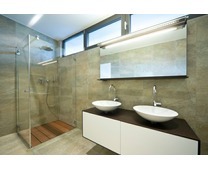 The team at SmartSeal are absolutely magic. Whoever you talk to are professional, polite and give excellent advice. They even stopped me buying one of their own products saying I didn't need it and they were right. I really can't thank them enough for helping me recover a dire situation, where I kicked the installers off the site as the finishing was so bad. You can buy from this company with confidence and if you need top quality advice, you can find it right here. Personally, I won't even look anywhere else in future. 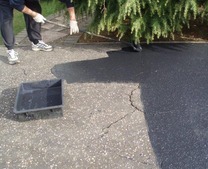 My driveway had been treated with a black sealer by a subcontractor recommended by Smartseal. 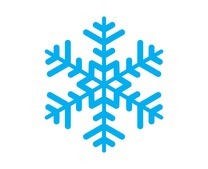 After only a few weeks it began to flake off which, after discussion with Nigel Blake, was considered to have been due to the fact that too much colourant had been added to the solvent. This has meant waiting until enough of the sealant has flaked off in order to repair the surface by painting the drive with just the repair fluid, which I have done myself. 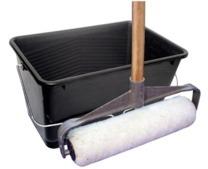 This has the effect of dissolving the original remaining black sealant and spreading it to give a thinner coating. This seems to work well but has involved a lot of work over a period of 3 years. The repair fluid works well BUT be aware that it is better to apply thin coats in the first place especially if, like mine, it is black on grey. My driveway is still not fully finished but I am hoping that when it is the surface will last for a number of years with only minor attention each year. The repair fluid works very well hence 5 stars, the rest has been a nightmare. Very pleased with the result. My patio was a mess, builder left a concrete film over the terracotta slabs. Applied smartseal and it did exactly what it.said on the tin. Delighted. Applied the repair fluid to the sealant where damp had caused it to look white and it has solved the problem. 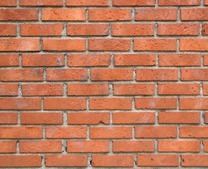 Very pleased with the prompt response from Smartseal to help resolve the problem. Thanks. Very pleased with this product. A bit of expensive but I works well. 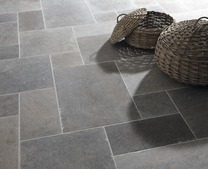 I spoke to Nigel at Smartseal, who asked me exactly what was wrong with my imprinted concrete. After telling him it had white chalky looking patches, he advised me to use the sealer repair fluid. The product was delivered very quickly. 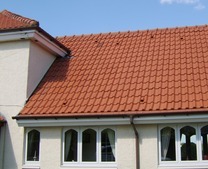 I have applied the product today, which was very easy to do, and I am delighted with the result. My drive looks as good as new. Nigel at Smartseal is very knowledgable and said to ring any time if I have any other problems with my drive. Excellent service, excellent staff, excellent product, will definitely recommend. Thank You. I have used Smartseal products before so I knew it was going to do the job. 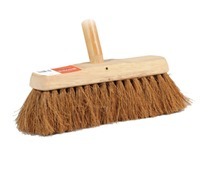 I noticed there were a few chalky marks on my drive, they had to go so I used this product and hay presto it did the job. Brilliant! Excellent results on the trial areas, am now waiting for a spell of warmer dry weather to complete the job. Will submit a full review on completion. Many thanks to Nigel for his sound advice. 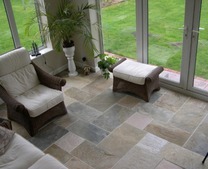 Fantastic product, sorted out my opaque path sealer!! 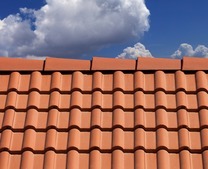 This didn't soften/remove my white areas, perhaps I was just unlucky But it did bring the colour back a little so I used it as a clean after pressure washing and it was not money wasted. 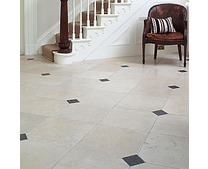 Just don't stand on on the wet surface - it softens shoe soles faster than it softens sealer! 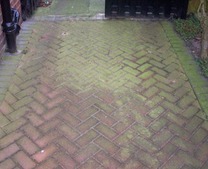 Does its job, removed white patches on drive and patio. Good Product. Great product sorry I didn't purchase the colour dye with it. Drive looks totally refreshed but be careful very slippery under foot when applies. The repair fluid does what it says and the sealant has made the drive look like new again. 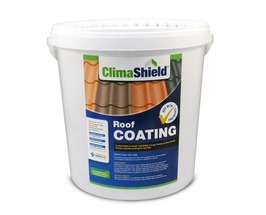 I always use this to sort out worn and flaky areas before I reseal the whole driveway. Just brush it on. Simple. Bought repair fluid and the colour, as I already had sealant. 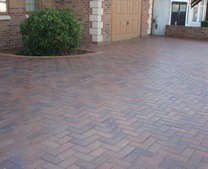 Driveway sealant surface was worn,clouded white in places and lifting. 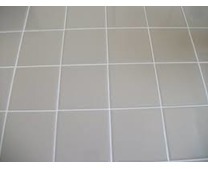 Your product worked very well and was easy to apply resulting in a very satisfactory finish. 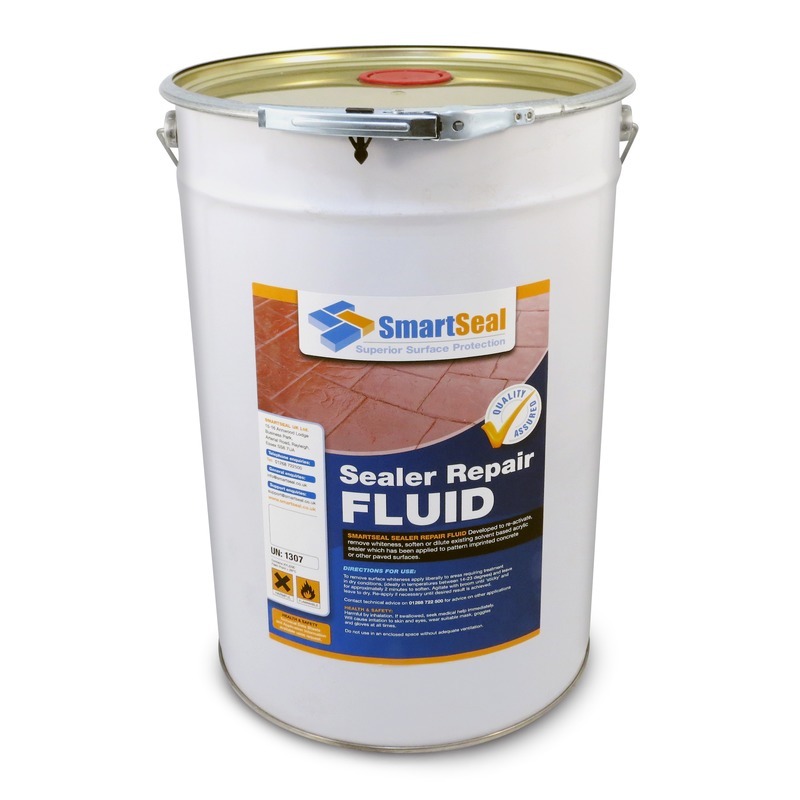 Sealer Repair Fluid: We found this to be an excellent product! Our problem was that moisture had got underneath the original sealant as it had rained heavy a few hours after it had been applied. 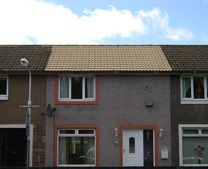 Also the service and advice given by Smart Seal was excellent. 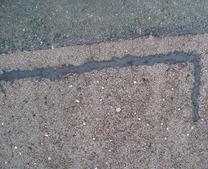 After seeking your advice we recently purchased your sealant repair fluid to remove moisture that had got into the existing sealant and when it had first been applied. 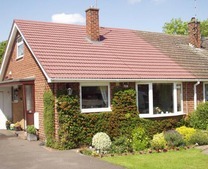 We are delighted with the results and would certainly be seeking your advice and services in the future. Thank you so much. just a quick note to thank you for your recommendations on what materials to buy and excellent after care service you provided. 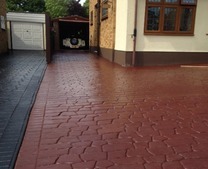 My drive now looks like new again, (except for were conrete had broken away) colour brilliant . Did not expect the results I got, after paying firms on the last 3 occassions I had been very dissapointed with the results. Had been told that nothing could be done to get colour back. On using your excellent products and yourself being on the end of the phone to guide me step by step I am overjoyed with results. Next year I will buy your concrete reair compound to try and smooth areas that have broken away and then reseal and colour as this time. Once again thank you very much for your advice and excellent products, I will definetly recommend your company to friends and family. It's refreshing to come across a comany with fantastic after care service. 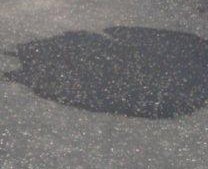 I had a very large white patch in the middle of my drive, after using the repair fluid there was no sign of it. Drive was a mess. This repair fluid with tint and sealer has rejuvenated my drive. Not 100% as it was originally, but this has done exactly what designed to do and made my drive look visibly good again. 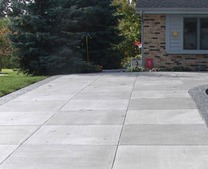 My concrete imprinted driveway was in a really poor state with white spots and other marks on the surface. After applying two coats of the sealer repair fluid the driveway cleared really well in preparation for the application of the sealant. I had spilt brake fluid on my drive, leaving an ugly white stain that nothing would shift. One application of this stuff and it vanished completely. Talk about does what it says on the tin! 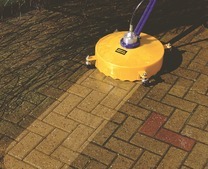 If the solvent based imprinted concrete or block paving sealers have been applied in conditions when the surface is damp this can lead to problems. 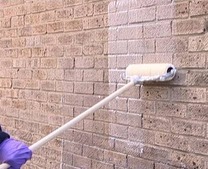 Surface whiteness is the most common issue and appears over time if the sealer has been applied when the surface is damp. 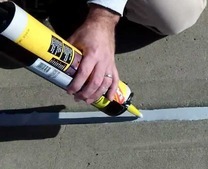 Smartseal sealer repair fluid should be used when problems like patchy whiteness have appeared on the surface of existing imprinted concrete or block paved driveways and patios. 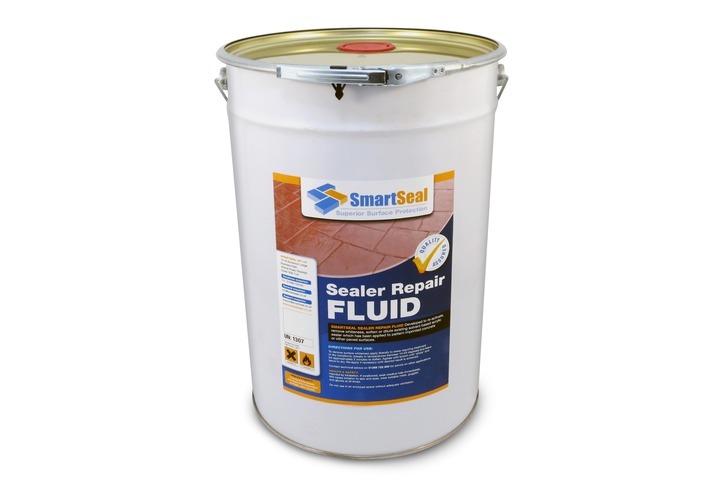 Surface whiteness, peeling or flaking sealer are common issues that are easily corrected using sealer repair fluid. 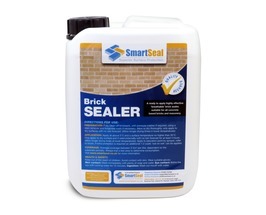 Smartseal Sealer Repair Fluid will restore existing imprinted concrete sealer or block paving sealer and clear surface whiteness from imprinted concrete and block paved surfaces. 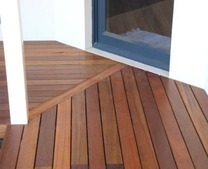 Sealer repair fluid is a product designed to repair incorrectly applied sealer which is lifting or sealer which has reacted with moisture during the drying process. For imprinted concrete it should be liberally applied to the affected area, left for a couple of minutes and then worked into the surface with a soft broom. 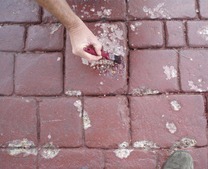 This will 'soften' the sealer and allow it to re-bond to the concrete. 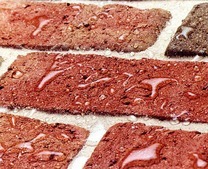 For removal of surface whiteness to imprinted concrete or block paving repeat as instructions above, but with block paving be careful not to disturb the jointing sand when working the sealer repair fluid into the surface of the blocks. Flammable liquid. Do not smoke. 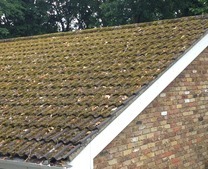 Keep application area well ventilated. 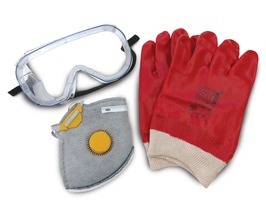 Wear respirator, gloves and safety glasses when applying. Store in a cool place. Flash point 42°C (Abel-Closed Cup). Refer to the Health & Safety Data Sheet for further information.